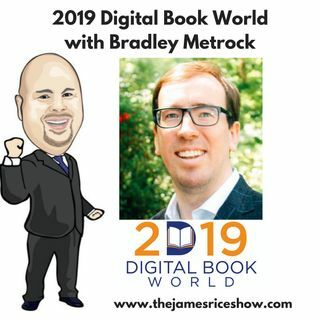 James welcomes Bradley Metrock the Executive Producer of the Digital Book World Conference (https://www.digitalbookworld.com) in Nashville to discuss digital books in education. Bradley is the CEO of Nashville-based Score Publishing, which helps creators find voice. Metrock founded podcast network VoiceFirst.FM, hosts the popular show This Week In Voice. James also discusses international student exploration in ... Más informaciones the workforce, how much money does the NCAA make and new vocabulary related to the College Admission Scandal. Plus - why is Olivia Jade upset? You will be surprised by the reason!